Following the recent death of Hilla Becher in October this year we look back at the artistic legacy of the famous photographic duo of our time – Hilla and her husband Bernd Becher. Over the past five decades, Bernd (1931-2007) and Hilla Becher (1934-2015) have become among the most influential figures in contemporary photography. The Bechers spent a lifetime documenting buildings that once defined the industrial landscape of their native Germany and other countries of Western Europe and the US. They only photographed industrial structures and when the pair was once asked why, Hilla replied: “Because they are honest... they reflect what they do.” As both artists and teachers at the Kunstakademie Düsseldorf, Bernd and Hilla Becher have influenced and inspired a generation of photographers and artists and earned an important place in the history of photography. The German photographers Bernd and Hilla Becher met while working for an advertising agency in Düsseldorf in 1957 and began photographing together in 1959. They have exhibited widely since 1963. The “typologies”, for which they are best known, grew out of their shared fascination with the industrial architecture of the Ruhr region. The Bechers systematically photographed industrial structures such as water towers, coal bunkers, blast furnaces, gas tanks, silos and factory facades across Germany, Europe and the US, all printed in black-and-white and presented in grids. The photographs were arranged in grids to emphasize the formal similarities of each structure, its sameness or “universality”. The pair sometimes referred to their subjects as “anonymous sculptures”. Freed from any association and context, the objects presented were supposed to point out the particular type of industrial architecture as well as to show the evolution of industrialization. 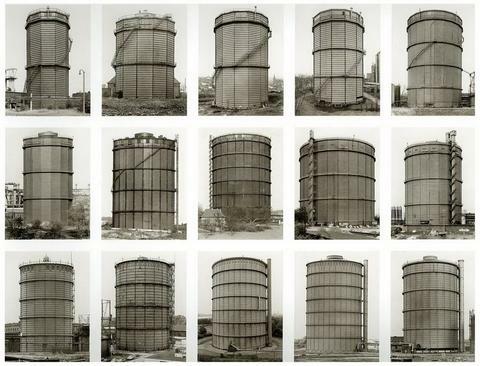 Though it all started from the personal memory and fascination with the industrial landscape, Bernd and Hilla Becher tried to erase any feelings from their work. Their approach was formalistic and almost scientific in method. Like archivists, the Bechers aimed to create a catalog of a disappearing landscape they thought was worth documenting. The systematic approach and disciplined ethic resulted in an extensive archive of basic building types of the industrial era. "We didn't really see it as artists, we saw it as something like natural history," Hilla Becher once says. Eventually, this way of looking created a style rooted in documentary photography and characterized by objectivity, legibility and the serialization of photographic practice. It will prove significant in the further development of documentary and conceptual photography. 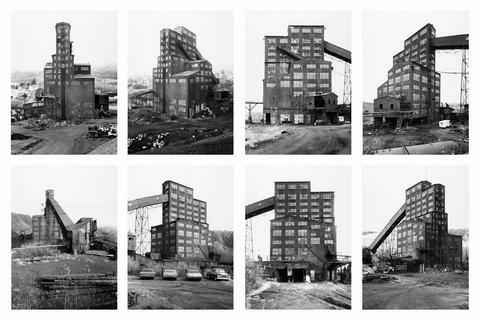 The vast legacy of Bernd and Hilla Becher represents an archive from a different perspective. Thanks to their lifelong dedication and fascination with the industrial architecture, we now have access to a lost world of mega industrial structures that once occupied the land throughout Western Europe and Northern America.